The best craft cocktails (and beer!) in Jacksonville! Jacksonville has long since been a culinary hotspot and now, craft cocktails are having a moment. Dining options range from upscale restaurants to low-key fish camps, and while no two dishes are the same, there's definitely a warm Southern charm incorporated throughout. So, instead of ordering a glass of wine with your next entree, opt for a craft cocktail packed with flavor and personality. Whether in the mood for a lively party or a swank speakeasy, here are Jacksonville's best cocktail bars for every travel style. This is one of Jacksonville’s top fine-dining restaurants and a local’s favorite for happy hour and delicious cocktails. Their bar is packed nightly. Wood floors and chandeliers dangling from the ceiling give Orsay a classic and sophisticated feel. There are plenty of cocktails to choose from, and the “Honeysuckle” is among the most popular. This creative recipe doesn’t fall short: St. Augustine Gin, Bärenjäger, lemon juice, orange dulce tea-infused honey and soda water. The “French Pear Martini” is another hit, probably because the special dash of champagne that disguises the strength of the vodka. A dash of St. Germain's elderflower liqueur is also a nice touch. Within Bistro Aix is Onyx Bar, the restaurant's large designated space for cocktail-drinking patrons. Unlike the old world charm-themed decor of Orsay, Onyx boasts a sleek, modern design, with white couches and large mirrors positioned throughout the space. When in season, try the "San Marco Shuffle," a cocktail made with Hayman's Gin, raspberry puree, fresh lemon juice, simple syrup and lavender bitters. For a walk on the wild side, opt for the “Sazerac.” It's made with Riverboat Rye, sugar, Peychaud's bitters and Absinthe wash, and since it's among their classic cocktails, it's on the menu all the time! Hidden behind a sliding bookcase, Parlour Jax is an authentic prohibition-era speakeasy that is no stranger to the "Farm to Table" movement, or in this case, the "Garden to Glass" concept. Ingredients are sourced locally, which means the cocktail list is constantly evolving based on in-season produce. Cocktails are small batch and handcrafted, giving you a chance to taste the freshness in every sip. 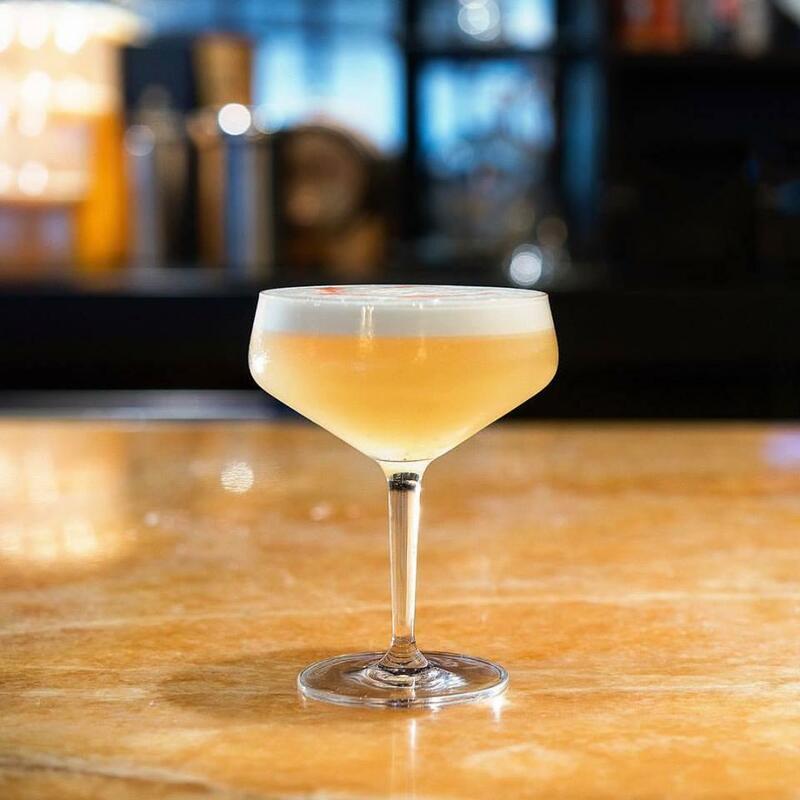 The "Butterfly Kisses," a mix of vodka, cranberry-hibiscus syrup, lemon juice, demerara syrup and egg white is particularly tasty as is the gin-based (and adorably named) "Jiminy Cricket." And in classic 1920’s-era style, Parlour Jax also has live jazz music and a signature Absinthe fountain featuring six different varieties, including some from Switzerland and France. For a laidback lounge vibe, there's hardly a better spot than Dos Gatos. The joint has a slew of cocktails on their menu, from sweet and fruity to sour and strong. Try their “Fresh Air,” a pineapple ginger-mint shrub with Maestro Dobel Tequila stirred over a rock. For something sweet and tangy, the “Red Dawn” is a safe bet. A mix of fresh seasonal berries, Russian Standard Vodka, ginger liqueur and ginger beer, it's a classic spin on the Moscow mule. Dos Gatos earns bonus points because they make their own syrups, sours and shrubs in-house. Don’t see your favorite drink on their menu? They’ll make one for you on the spot! The Volstead is easily one of Jacksonville's trendiest bars and for good reason. It's a speakeasy reminiscent of the 1920s, so don’t be surprised if you feel like you’ve time traveled for the night. The drink menu is extensive and features everything from high-end bourbon and whiskey to cleverly crafted cocktails. Start off with something as chic as the 20s themselves, like the "Brindisi" champagne cocktail with Prosecco, Amaro, honey and lemon. Another local favorite is “The Monteleone,” a cocktail named after the Monteleone Carousel Bar in the French Quarter of New Orleans. Enjoy! Not a cocktail fan? Stick to craft beer, instead! Pick up your Jax Ale Trail Passport and check out some of the city's top breweries. Once you get your passport stamped at four breweries, you earn a beer koozie. All eight stamps earn you a Jax Ale Trail T-shirt. The passport includes info on each featured brewery, like Bold City Brewery and Intuition Ale Works, plus directions for how to get there. With so much beer guzzling, you’ll be surprised how handy this map becomes. You might not have traveled to Jacksonville with your real passport, but you get to return home with a pretty cool souvenir. Jacksonville has so many delicious cocktails there’s actually a whole list of the Top 26 Drinks by locally owned places. Cheers! A full breadth of select restaurants, bars and nightlife entertainment can be found at www.visitjacksonville.com, where your next flavor trip awaits.